Day 132: A happy birthday & baby shower! 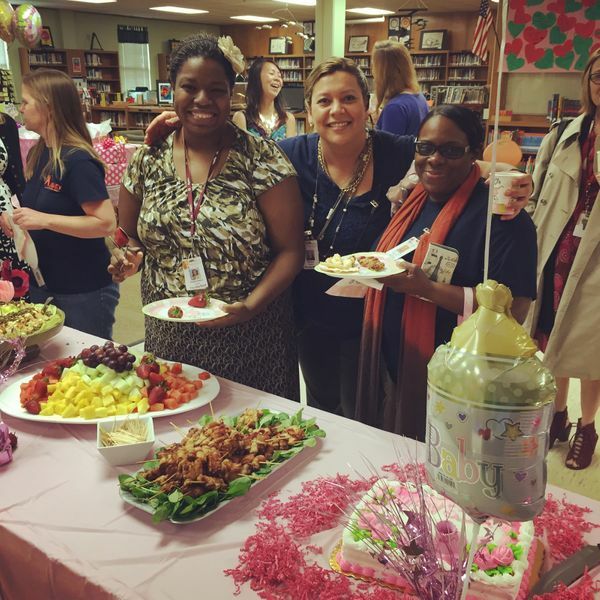 Not only was it a baby shower for assistant principal Mrs. Berduo, it was a birthday party for her as well! So "Happy birthday!" and "Congrats on the (soon to be coming) baby!" all in one.